” High quality health care must be accessible and appropriate for the needs of Aboriginal and Torres Strait Islander peoples. We have to acknowledge that those with HIV may experience additional barriers in accessing health care which relate to stigma and shame. Racism is one of the social and cultural determinants of health for Aboriginal and Torres Strait Islander peoples. Racism is part of a vicious circle that contributes to low levels of access to health services by Indigenous Australians and causes psychological distress. Together we will build the capacity of the Indigenous community controlled health sector and make a real impact on the HIV rates among Aboriginal and Torres Strait Islander peoples. 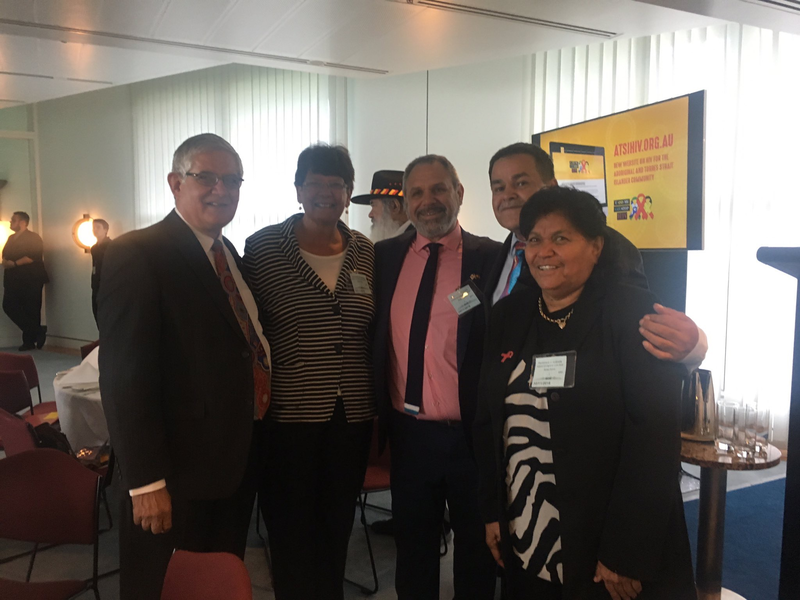 The Assistant Minister for Health and Aged Care, The Hon Ken Wyatt AM, MP spoke at Parliament House, Canberra, to launch National Aboriginal and Torres Strait Islander HIV Awareness Week. Before I begin I want to acknowledge the Traditional Custodians of the land on which we meet the Ngunnawal and Ngambri peoples and pay my respects to Elders past, present and future. I also acknowledge other Aboriginal and Torres Strait Islander peoples here this morning. I want to thank the Aboriginal and Torres Strait Islander HIV Awareness Week Organising Committee for inviting me to speak this morning. It’s good to be here with Minister Sussan Ley and Senator Dean Smith. We are here today because HIV continues to be a serious health concern for Aboriginal and Torres Strait Islander peoples. 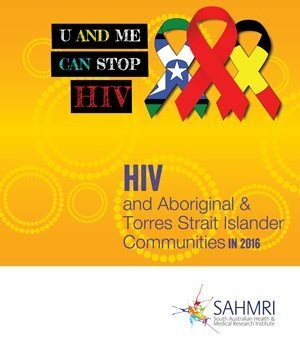 The rate of HIV among Aboriginal and Torres Strait Islander peoples is more than twice as high than it is for the Australian-born, non-Indigenous population, increasing to more than three times higher for those aged over 35 years. We know that access to HIV testing and treatment remains an issue for Aboriginal and Torres Strait Islander peoples for a wide range of reasons. I welcome the Health Minister’s announcement this morning that $485,000 in funding will go to the South Australian Health and Medical Research Institute to find out why our young Indigenous people are still at an increased risk of blood borne viruses and STIs. High quality health care must be accessible and appropriate for the needs of Aboriginal and Torres Strait Islander peoples. We have to acknowledge that those with HIV may experience additional barriers in accessing health care which relate to stigma and shame. Racism is one of the social and cultural determinants of health for Aboriginal and Torres Strait Islander peoples. Racism is part of a vicious circle that contributes to low levels of access to health services by Indigenous Australians and causes psychological distress. And it is this distress that can contribute to negative coping behaviours such as injecting drug use or just being too ashamed to talk about their health concerns, or ask to be tested for STIs, or access condoms and clean needles. To make real progress, we need to work together and eliminate discriminatory and stigmatising behaviour wherever and whenever we see it. We must call it out. We need to provide our people—young and old—with an environment where they can talk about important issues such as their health or sexuality. And they need to do this without the fear of losing the support of, or connection with, their community. Aboriginal and Torres Strait Islander peoples also need to feel culturally safe in the mainstream health system. I am proud of our close relationship with, and continued support for, community controlled health services, their peak bodies in every state and territory and the National Community Controlled Health Organisation. Aboriginal community controlled health services deliver holistic, culturally competent and safe primary health care and is a model for all health services as they strive to improve health outcomes for Aboriginal and Torres Strait Islander peoples. An appropriately trained health workforce helps build the cultural competence of mainstream primary health care services. It also supports the ongoing viability of Indigenous specific health services, particularly those delivered through Aboriginal community controlled health services. To improve access to culturally safe, high quality health care for Aboriginal and Torres Strait Islander peoples, the Government continues to invest in the Aboriginal community controlled sector. Moorundi Aboriginal Community Controlled Health Service in SA—a newly established service. Tamworth Aboriginal Medical Service in NSW, now an independent organisation. And the Werin Aboriginal Corporation Medical Centre in NSW, also now an independent organisation. The Implementation Plan for the National Aboriginal and Torres Strait Islander Health Plan 2013-2023, was released last year. This important Plan guides our strategies, actions and deliverables to maximise health benefits for Indigenous Australians. I consider it a huge step forward to have racism recognised within the Implementation Plan. This is the critical issue that must be addressed to improve the health and wellbeing of Aboriginal and Torres Strait Islander peoples. And this is why Aboriginal and Torres Strait Islander culture is at the centre of the Implementation Plan. I see the theme of this event, ‘Together, You and Me Can Stop HIV’ as a call to action. Working in partnership with Aboriginal and Torres Strait Islander peoples is critical to addressing poor health outcomes of Indigenous Australians. It is only through working together as true partners— the fundamental and guiding principle—of the Implementation Plan that we will achieve success. Already we are seeing real progress against the deliverables in the Implementation Plan. The next stage of the Plan is to address health system effectiveness and the social and cultural determinants of health such as racial discrimination. This Plan will also increase engagement and involvement with other Australian Government agencies, state, territory and local governments, the Aboriginal community controlled sector, the non-government sector and the corporate/private sector. This broader engagement base will provide the mechanism for significant improvements in Indigenous health outcomes, including the reduction of sexually transmissible infections and blood-borne viruses such as HIV. Finally, to reiterate comments made by the Prime Minister, it is critical that the Government continues its policy of doing things with, and not to, Aboriginal and Torres Strait Islander peoples. I am confident that by working with all our partners in developing and implementing actions, we will Close the Gap in health outcomes for Indigenous Australians because Closing the Gap is everybody’s business. I recognise there is a lot of work to be done, but we must all recognise that respect of diversity and respect of cultures must be embedded into the way that all services are run. This is fundamental to improving health outcomes for Aboriginal and Torres Strait Islander peoples.